AMD's brand new Pinnacle Ridge AKA Ryzen 2 AKA Ryzen 2000-series CPUs have been in consumer's hands for just a day, but professionals with early access have already taken to pushing the silicon past stock speeds. One such overclocker is European maestro der8auer, who teamed up with ASUS ROG to try something special with the new range: LN2 extreme overclocking. The Ryzen 2000-series is generally speaking a little faster than the first gen. Ryzen clock-for-clock, but by virtue of a new 12nm+ manufacturing process should be capable of higher frequencies. der8auer himself pegs it at around 300MHz, which is the underlying improvement in reference clocks of the 2700X vs the 1800X, but when overclocking your mileage will vary. So, there's definitely scope for breaking a few Ryzen-based records. 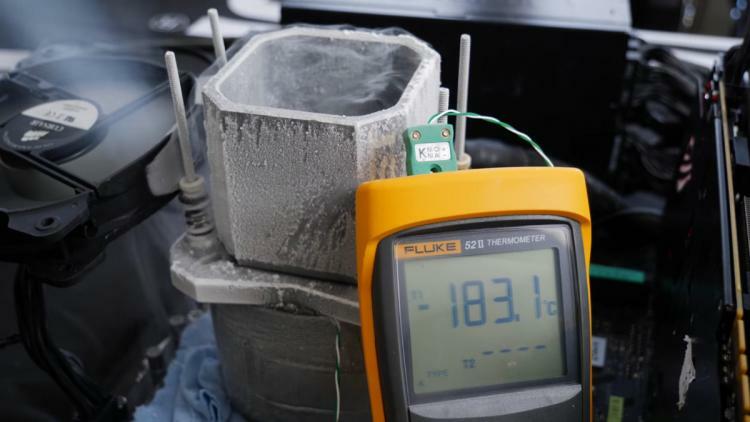 While the LN2 overclocking is the meat of the video's content, the overclocking showcase also provides some conventional overclocking guidelines, most notably the generally accepted voltage and memory 'sweet spots' for a balance of good overclock and sensible voltages. New XFR tools make available by the X470 chipset are also mentioned as a good way of improving single and distributed-core automated frequencies without OCing all cores. For both the initial binning and then Liquid Nitrogen overclocking the team used ASUS's new ROG Crossfire VII Hero and G.Skill DDR4 RAM, after implementing some much-needed anti-condensation modifications. Of course, Ryzen 2000-series CPUs are soldered, so no de-lidding was necessary. The system also doesn't have a cold bug, making overclocking and testing substantially easier. 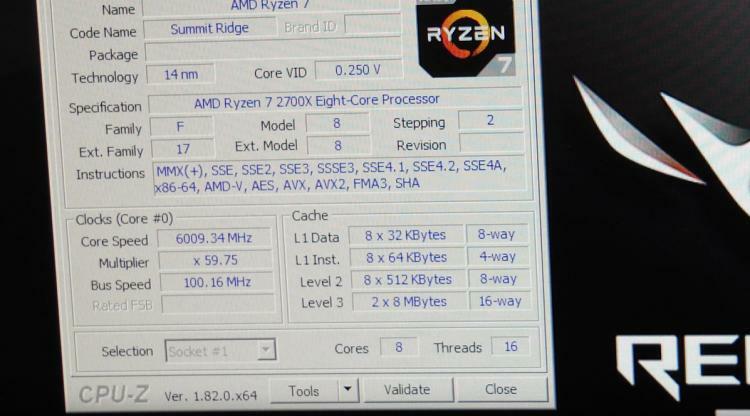 Going for raw clock speeds, de8auer was able to push his Ryzen 7 2700X to 6009MHz, ~100MHz higher than the previous Ryzen record. Furthermore, the team was able to claim two world records, flipping the Geekbench 3 and SuperPi records from Intel to AMD at far lower clock speeds was required for the Intel chip. It's early days for Ryzen 2 so don't be surprised if many records are broken in the coming days and weeks.